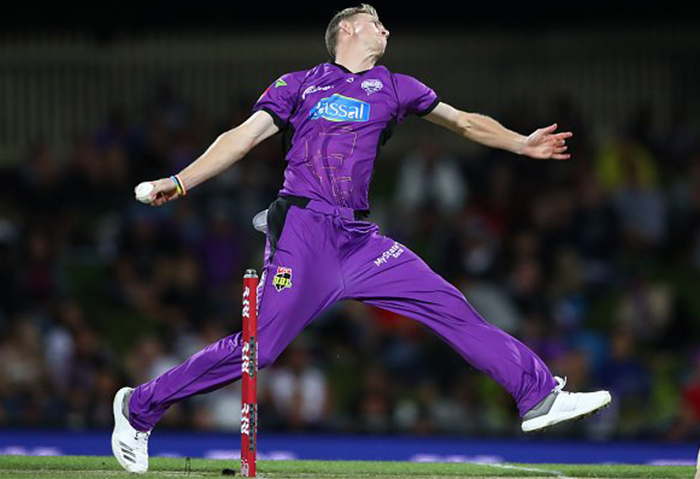 When it comes to intensity and entertainment, Australia’s very own Big Bash League stands second to none. Ever since its inauguration in 2011, the electrifying T20 league has produced some exhilarating moments that define the sport. From solo performances with the willow to insane catches taken at the boundary rope, the BBL has undoubtedly set the standards of the game, very high. 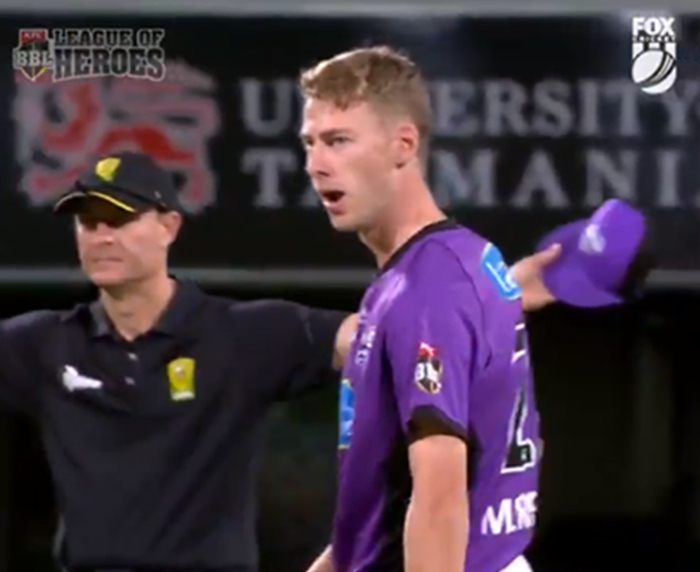 However, in an encounter between Melbourne Renegades and Hobart Hurricanes in the ongoing season of the T20 tournament, we came across a rather bizarre incident. In an over that turned out be a nightmare for the Hurricanes, Australian fast bowler Riley Meredith gave away 17 runs off just 1 delivery. And we are not even kidding. The Hurricanes, who were looking for some early wickets handed the very first over to Meredith after putting on a staggering total of 183 runs on board. While the 22-year-old conceded just three runs off the first three deliveries, he lost his composure totally from the fourth. Bowling a overstep no ball on the fourth, he came back with a wide on the 5th which slipped past the wicketkeeper for a four. On the 6th, Meredith overstepped again was smashed for a boundary and suffered the exact same fate on the next. He finally bowled a legal one after four attempts and gave away a run. His first over figures looked like: 0, 0, 1, 1nb, 5wd, 5nb, 5nb, 1, 4lb. He ended the over with a total of 23 runs given away. And of course, Twitter took the responsibility of roasting the bowler and nailed it to perfection. That’s schoolboy stuff. Poor kid will have some sleepless nights for sure!